Dragon 535 – 1200 BC Greece. Poseidon’s minion, Minas, has been tasked with sending the dragon Quintus to torment the mortals. I’m spending more time researching these drawings than I planned when I set out to do this series. But it’s so fascinating! 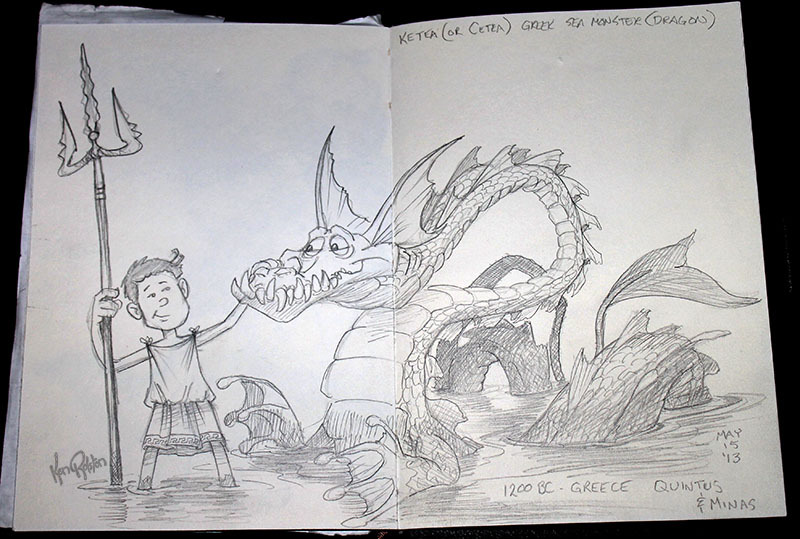 The ancient Greeks had four classes of ‘Dragons’ the sea serpent class of Ketea was one of them. I might have to explore at least one more before leaving this period.